This is the Fourth weekly bulletin with a review / discussion of Tellagami and Flipboard. There is a subject focus on Maths apps. This is the second weekly bulletin with a particular focus on Evernote as the featured app. 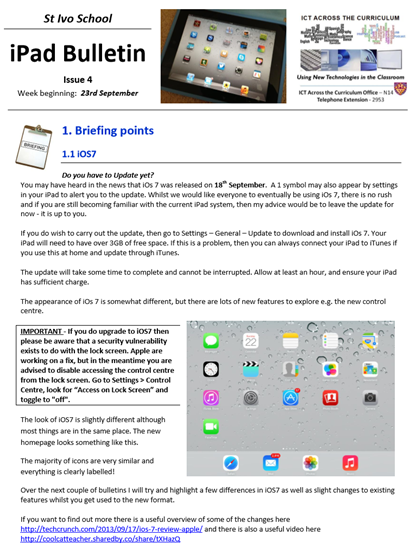 In my role in supporting the integration of iPads in the classroom I am currently trying to write a weekly bulletin to support colleagues. 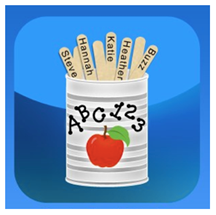 Each bulletin has an Apps section in which one or two key apps are featured and reviewed / discussed each week as well as suggestions for subject-specific apps. I have also started to have a ‘featured’ department each week with a collection of subject specific apps. 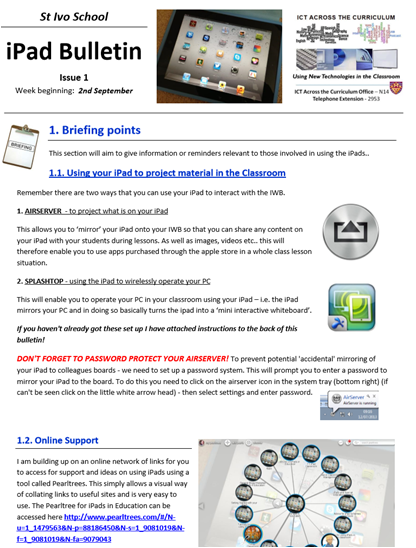 I will try and upload them on here to share with others for those colleagues in other schools who are just starting out on the ‘iPad path’ and might find some of the information useful. I will post the four bulletins which have already been published now and then update the blog each week with the most recent bulletin. I hope they are useful to some of you. Teaching about trade? A fantastic new interactive online physical and human geography resource aimed at 11-14 year olds has just been launched supporting the KS3 geography curriculum. The site provides a great set of free online resources from the Costa Foundation exploring the coffee trade around the world and how it affects the lives of coffee growing communities. There are a vast range of detailed case studies and lots of resources and teaching ideas. Although it is mainly aimed at KS3 there is a vast array of case study material here which could be adapted for use with older students. There is an Interactive Map providing an online journey of the coffee bean from crop to cup with detail on exports of different countries and a more detailed focus on ‘case study’ countries. The map links to case studies from the Costa Foundation and Rainforest Alliance’s work in the coffee belt countries, from Guatemala to Vietnam, and really brings Human & Physical Geography to life! • and how it can make the world a better place. There some great free resources for teachers, including comprehensive lesson plans that cover core aspects of the KS 3 Geography curriculum including: Space, Interdependence, Cultural understanding and diversity, Graphicacy. (Curriculum links are detailed in accompanying teachers’ notes). As well as an introductory PowerPoint which provides a history of coffee farming and the processes involved from crop to cup there are 3 key lesson plans.. Lesson 1 – Where does our coffee come from, and why does it matter? Lesson 2 – How can coffee improve lives? Lesson 3 – Can coffee make the world a better place? Each lesson can be downloaded as a zipfile – they can be used in conjunction with the website for interactivity where internet access is available or they are also designed to be able to be used off line and there are a range of worksheets / information sheets and powerpoints.